LACUNA COIL are safely home in Italy and taking a much needed break, but the band’s new album continues to climb in popularity and they have provided support for the past year to some of the biggest tours in the country to promote their latest offering, Dark Adrenaline. Dark Adrenaline moves in a new direction for the band and is their second album with producer Don Gilmore at the helm. The band spent the past six weeks out with SEVENDUST before returning to Italy. Scabbia said the fan response was spectacular and that each show was full of a varied demographic of fans. “The tour itself has been great! 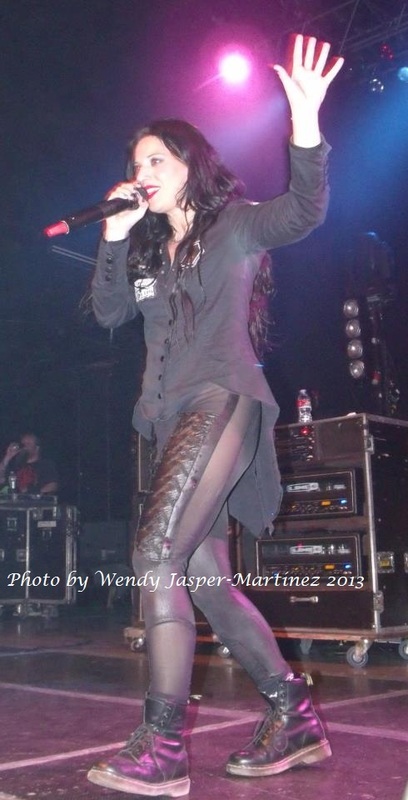 We have toured with so many big artists and are grateful for that and the new album is doing very well,” Scabbia said. The touring package also included COAL CHAMBER and STOLEN BABIES and was out for several weeks before wrapping up in Dallas, Texas at the Palladium Ballroom. The band was formed in 1994 and current members include Scabbia, Andrea Ferro, Marco Biazzi, Christiano Migliori, Marco Zelati, and Cristiano Mozzati. The current lineup is solid, though the band did have some member changes over the years. Scabbia has remained a constant focal point and her stage presence and vocal style have been a factor in the band’s ever growing popularity. “We have had some focus on the female vocal and we have played the female metal festivals like Female Voices MetalFest,” Scabbia said. Additionally, the band and the Dark Adrenaline album won the Female Voices MetalFest Award for Best Album of 2012. There have also been many technological changes since the band’s inception that Scabbia believes help the band to stay in touch with fans worldwide. Social networking is a big factor in helping promote the new album and keeping fans informed about tour dates and other special information that the band wants to share. “It definitely helps put your name out there. For instance, I can send and receive a message to and from people all over the world and you just couldn’t do that before. We can connect with our fans in a way that was not currently available, and with so many devices like phones and iPads!” she laughed, sharing that even the youngest of fans are able to use the technology to interact with the band. Speaking of younger fans, Scabbia also agrees that the metal world is changing and that the demographic of the fan base has grown to include not only long time fans, but younger crowds. “The different generations are approaching our music and seem to enjoy it! When you look out in the crowd you see your original fan base and now some of them are bringing their own kids to the shows and you can see how they love the music,” she said. The digital revolution is the future of music and Scabbia said that the access to music sales via iTunes and other digital formats has increased fan access. 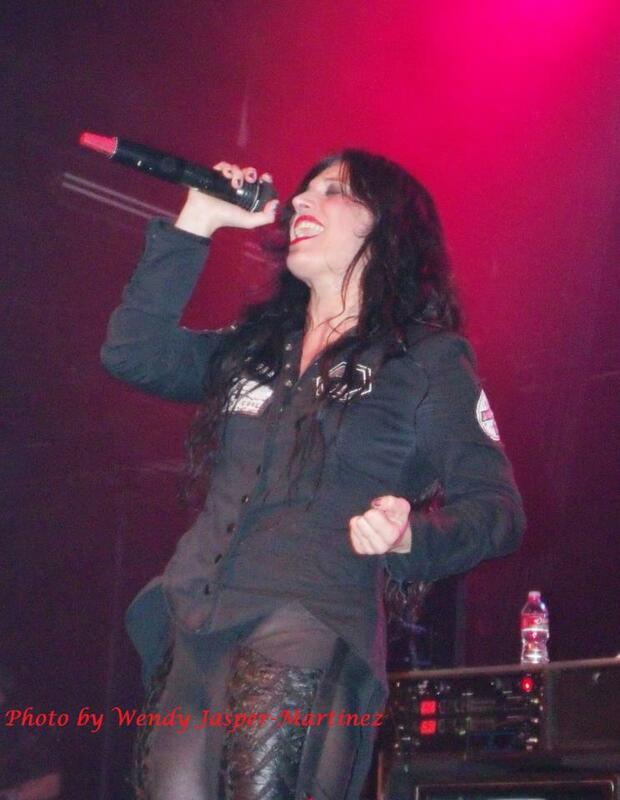 To date, LACUNA COIL has sold more than two million albums worldwide and continues to grow in popularity. Until then, fans can stay in touch with the band via their Facebook pages, which are listed under each band member’s profile on the band’s official website, and through their currently available music.